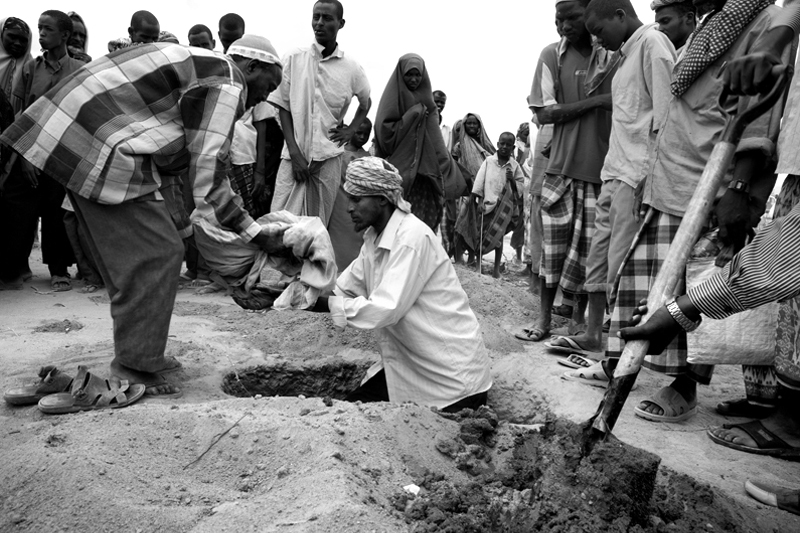 The burial of a 12 month old Somali girl, Liin. Liin died of malnutrition 25 days after reaching the camp. Her mother gave birth to a baby boy the night before she passed away. US officials say that the famine in Somalia has killed more than 29,000 children in the last 90 days.